The mud hole looked like a lake. I wasn’t about to risk losing a rental car by driving through it in order to surf point waves with no crowd. I figured it was better to walk barefoot through the black, smelly water that harbored snakes, horse poop, clouds of mosquitoes, squishy stinky mud, sharp sticks and then traipse through a mile of dank marsh to find waves, then risk getting stuck in the pit. The lake we decided not to drive through. 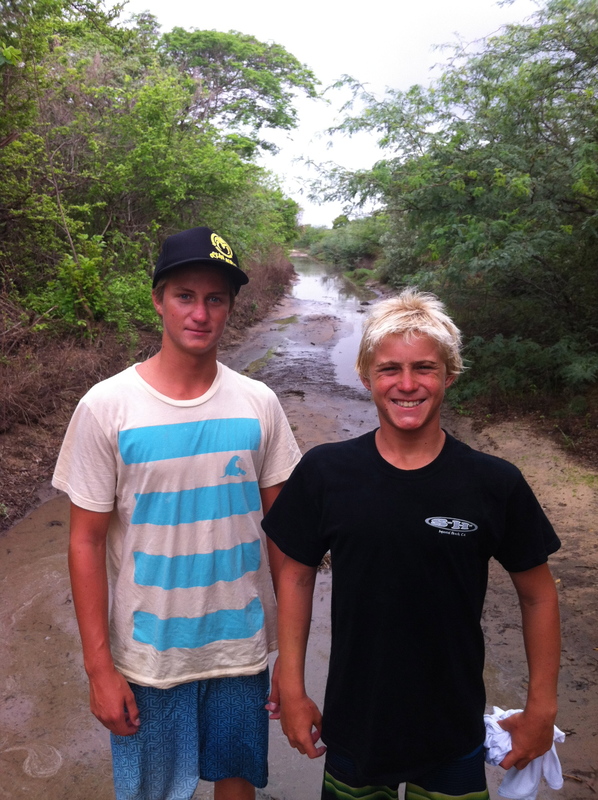 While Daren Johnson and I evaluated our chances of driving through the water feature created by Hurricane Carlotta, our sons Josh, 15, and Israel, 16, ran through a trail in the mangrove forest and crossed the dunes to check if there were any waves at the point that was a couple of miles away. About 15 minutes later they returned. Both were out of breath, sweating and clearly not having a good time. So we parked the car on the only dry spot we could find, loaded our backpacks with food, water and sunscreen, took off our shoes and hiked barefoot through the swamp, mangroves, dunes, and finally what seemed like an endless beach. As we neared the point I could see set waves breaking off the rocks. Half an hour later we had settled into the lineup and caught dreamy rights with just a couple of other surfers in the lineup. I caught a couple of waves that were as good as any I’ve ever surfed—looping barrels that I raced my 6’6” Novak quad down the line on to stay in position. On my recent trip to Mexico, I spent a lot of time walking through the rainforest, swatting mosquitoes, being attacked by no-see-ums, and hoping that I’d come around the bend to find perfect waves. During one foray into the forest to find a point the locals assured us had good surf, we found a local guide to navigate the rocky and hilly trail. The sun was scorching and the humidity was overpowering. 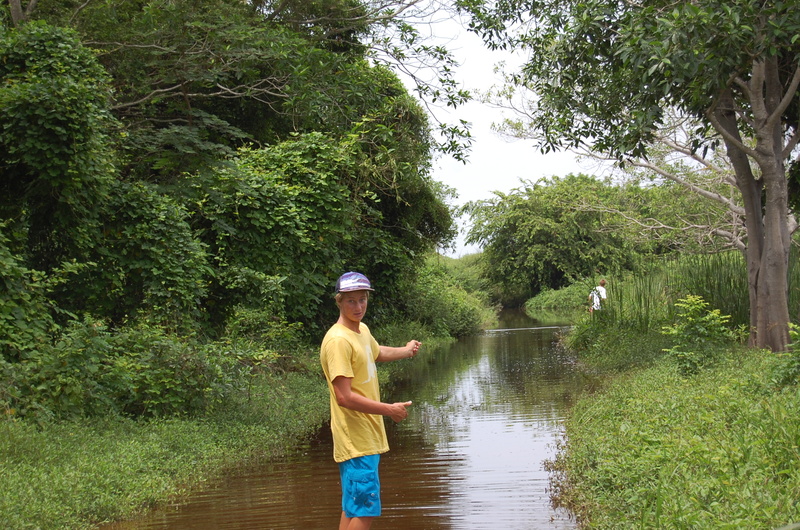 Pedro, our guide was barefoot and wore a thick long-sleeve rugby shirt. Israel and Josh scrambled to keep up as Pedro ran up hills through the forest. With my long legs I was able to hang on. After about 45 minutes we arrived at a giant jumble of rocks. I wasn’t too interested in risking injury sliding down the rocky precipice to find a few waves. “We’ll paddle around the point Pedro, ” I said pointing to a small beach to the right of the point that was a safer entryway into the surf. 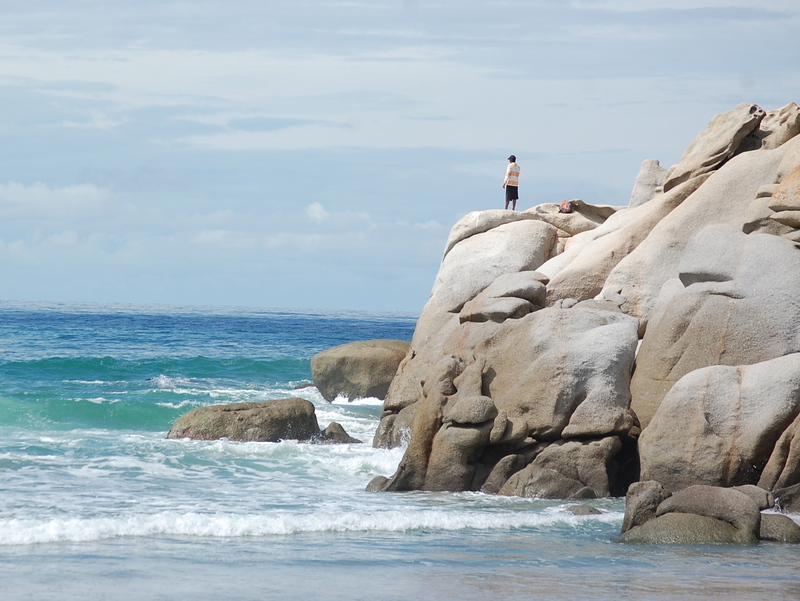 While we caught waves, Pedro patiently threw out his fishing line from atop the boulders. On our return Pedro ran through the forest. I barely kept up. Josh and Israel fell behind. We arrived back at the tiny village an hour later exhausted but were elated to find the beachbreak looking fun. A couple of local kids were snagging the 3-4’ offshore A-frames. Josh and Israel paddled out while I made arrangements for a local family to cook us up some freshly caught fish. Out in the water the locals were stoked to see us. 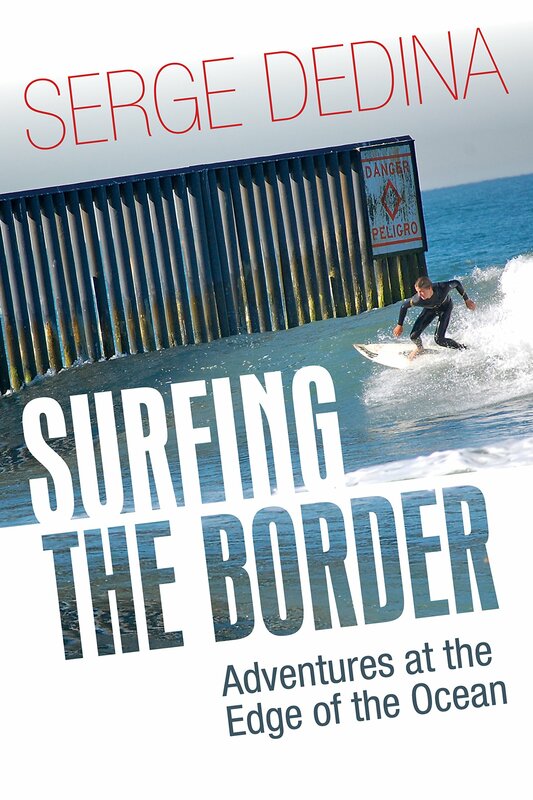 Very few traveling surfers visit the isolated village that depends mostly on government subsidies for growing a smattering of crops and protecting the leatherback sea turtles that nest there. Out in the lineup I gave some wax to a grom. 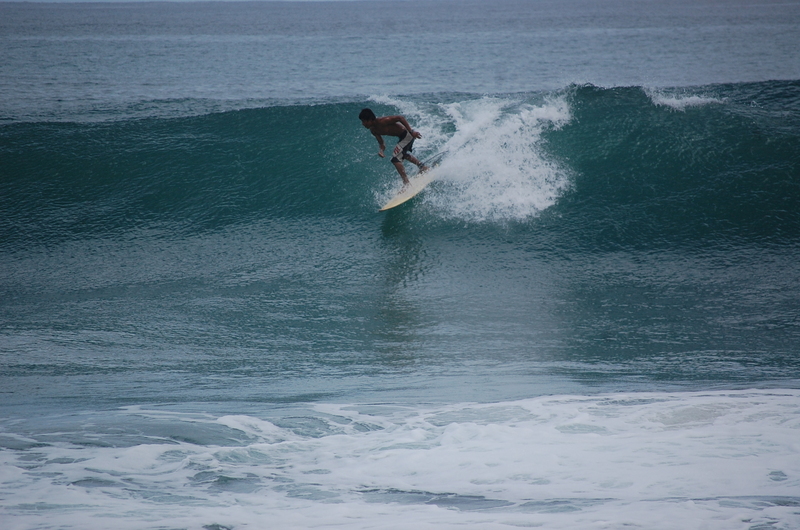 After catching a few waves, Esteban, the proprietor of the beach shack, waved us in. Grilled fish, beans, rice and cocoanuts were waiting. Just another adventure in Mexico.